1: Ergonomics designed. 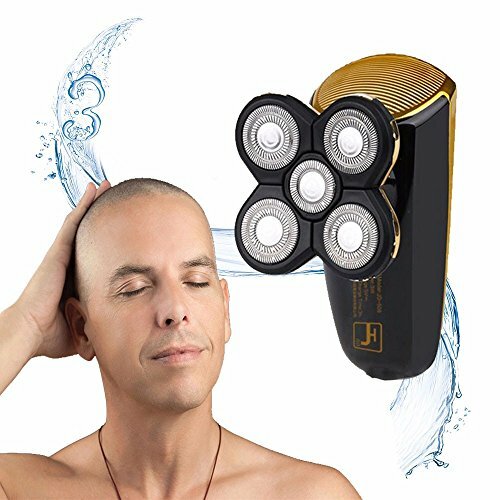 You can shave, and you can shave your head. 2: Rotating five cutter head double ring independent floating blade, three-dimensional cutter head structure. 3: Charging and discharging indicator, 3 hour fast charging, power 3W. 4: The whole body wash design, can be washed directly with tap water, safe and practical. 1.Maintain nicely with dring and storing in a dry and cool place. 2.Please keep away children's touch.